Full Service* – We have adopted what we think will be a revolution in service pricing! 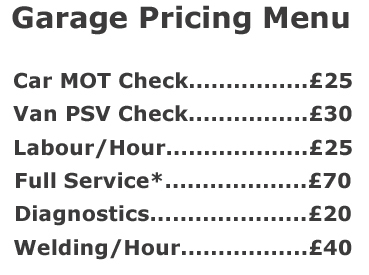 Basically it takes 2.5 to 3 hours to perform a full service properly, we charge £70 for all vans and cars. We then charge for service parts, oil and fluids. All parts and fluids exceed OEM specifications listed by your vehicles manufacturer. 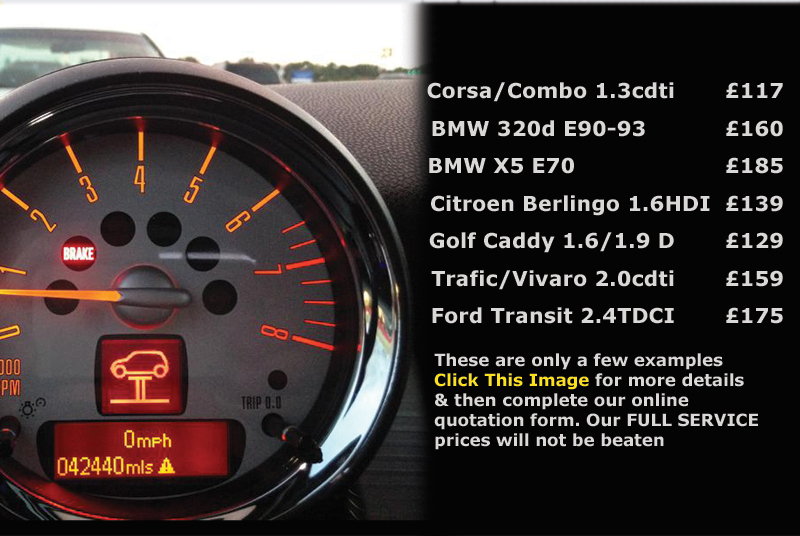 Why not get a quote to service your car. The above picture lists a few popular examples.